Are you tired of throwing the same old party? Sure you may have streamers, cakes, and maybe even a pinata, but there seems to be something missing. Mind if we tell you what it is? It’s the glow that comes from a group of children having the time of their lives! Although their imaginations have the ability to create entire worlds out of nothing, it certainly doesn’t hurt to give them something to work with! At Celebration Source, we’re experts in taking parties to the next level. From our carnival rides to our party performers, we always make our events unforgettable for children and adults alike. But do you know what always lights up the kids’ eyes like a beacon on a dark night? Inflatable bouncy houses of course! Nothing makes the young ones happier than letting loose (even more so than usual) and literally bouncing off the walls! 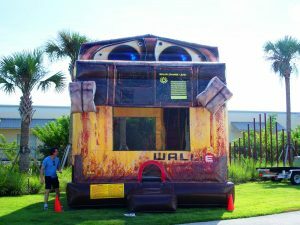 While we know they’ll be happy just jumping around, we know a bit about party games in West Miami, and we’d like to suggest a few games for the children to play in the inflatable bouncer to guarantee that they have the best time imaginable. A playful take on a classic game, “Red Light, Green Light” will have the kids jumping for joy, and then freezing! After you shout “green light,” the children will bounce around like the little balls of energy that they are, but when you yell “red light,” all of the children must be as still as a statue. If a child doesn’t freeze, they must exit the bouncy house until the next round begins. To add a little extra creativity to the game, instruct the children to act like animals. Just try to keep a straight face as they hop around like frogs, or even test their imaginations a little bit by requesting they act like a fish or a snake. Depending on the amount of children at the party, separate them into two or four teams. Each team will have a flag of a specific color (this can be a streamer or piece of paper) designated on one side or a corner of the bouncy house. This will be their home base. The kids will also need personal streamers tucked in their waistbands or lightly tied around the wrist. The goal of the game is simple, capture the other team’s flag! If their individual streamer gets taken during the ensuing chaos of fun, then that child must exit the inflatable bouncer until the next game begins. Whichever team captures the other teams’ flag/flags is the reigning champion! As we’re sure you know, kids can keep themselves entertained for hours, they just need a little direction sometimes. As simple of a game as it is, there is a reason that “tag” has been played for generations. It’s fun! Add the element of the bouncy house, and the kids will use up all of that pent-up energy chasing each other around. Open to your own interpretation and your own commands, pretending that the bouncy house is a pirate ship on the open seas will not only provide the kids with a great source of entertainment but work on their memory as well! Give your crew commands such as “port” (they all run to the left side of the ship AKA bouncy house) and, “starboard” to have them go to the other side. Then start mixing it up a little bit. Tell them that there are “sharks in the water,” and they must keep their feet in the air, or to “lift the sails” (they’ll pretend to pull on a rope). Come up with your own commands and actions, and progressively speed up the timing of your orders. Any child that does the wrong action is out of the game until only one is left remaining! Maybe the easiest way to keep the children entertained is by letting them use their abundance of imagination. Let them imagine themselves floating in outer space, or exploring the depths of the ocean! 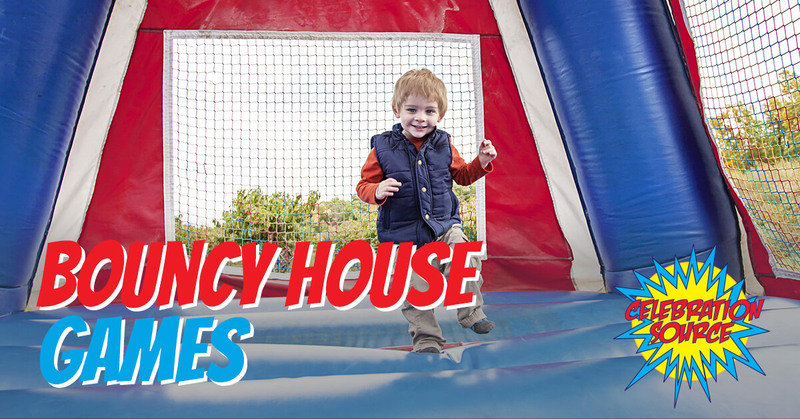 Once their creativity is sparked, there’s no telling what the bouncy house might turn into next! If you’re looking to throw a memorable party or event, let us provide the carnival games, entertainment, and fun. With our wide selection of inflatable bouncers, you’ll be sure to find one that matches the theme of your party. Stop hosting the same boring celebration, and be sure to contact us today!